President Donald Trump before his first State of the Union Address. 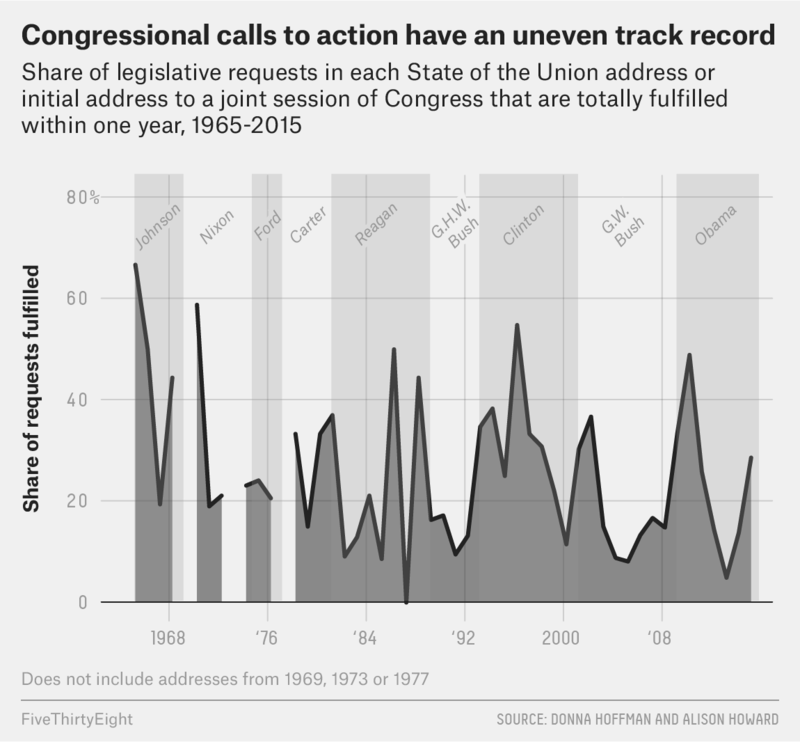 These speeches have all the trappings of State of the Union addresses but are not officially considered such. 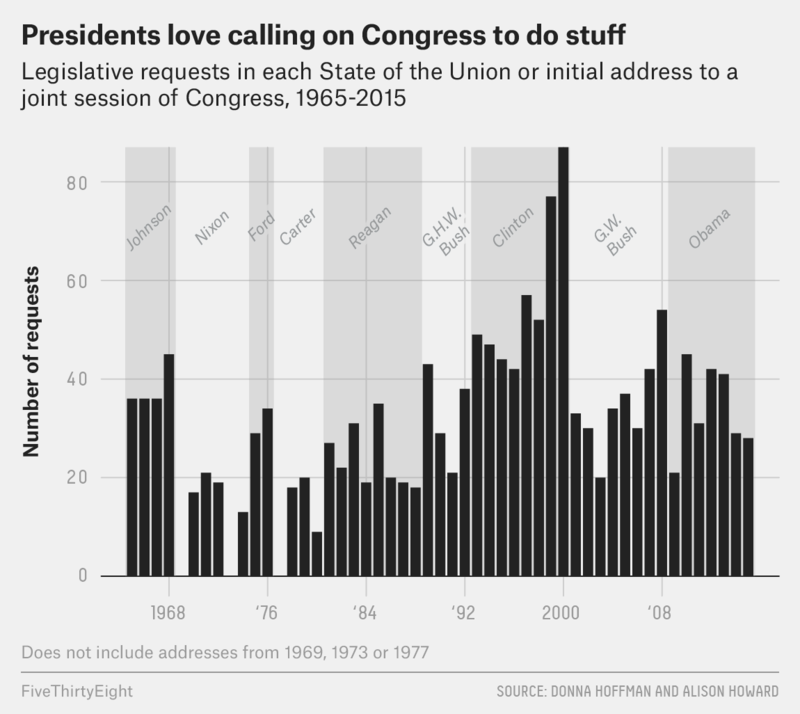 But excluding the addresses in 1969, 1973 and 1977, for which we have no data. Although an additional 14 percent were “partially” enacted, according to Hoffman and Howard’s criteria. 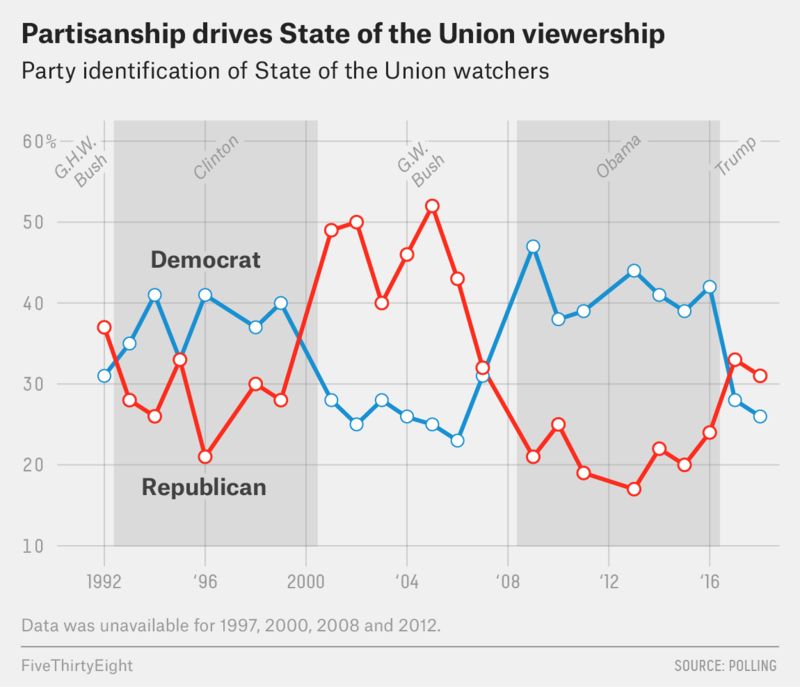 The data in the chart below is from polls of viewers immediately after the State of the Union address by ABC News/Washington Post, CNN/ORC, CNN/SSRS or Gallup. Data for 1997, 2000, 2008 and 2012 was unavailable.